In the past for Halloween, I’ve often dressed up as internet memes (Rick Astley, anyone?) or topical things from the news (like Matt/Mitt Romney). This year I was running dry on ideas until a few days before Halloween. Then I started to think about famous artwork–more on that in a future Halloween post. All it takes is a novelty bowler (~$8) and a plastic apple (~$1.50, although you might have to buy a pack of six). Assuming you already have a suit and can borrow a red tie, you’re good to go for only $15 or so. This year I got into Halloween, so I may post a few more Halloween ideas that I played with in the coming days. But question comes,it that too heavy to put it on nose? On my nose? 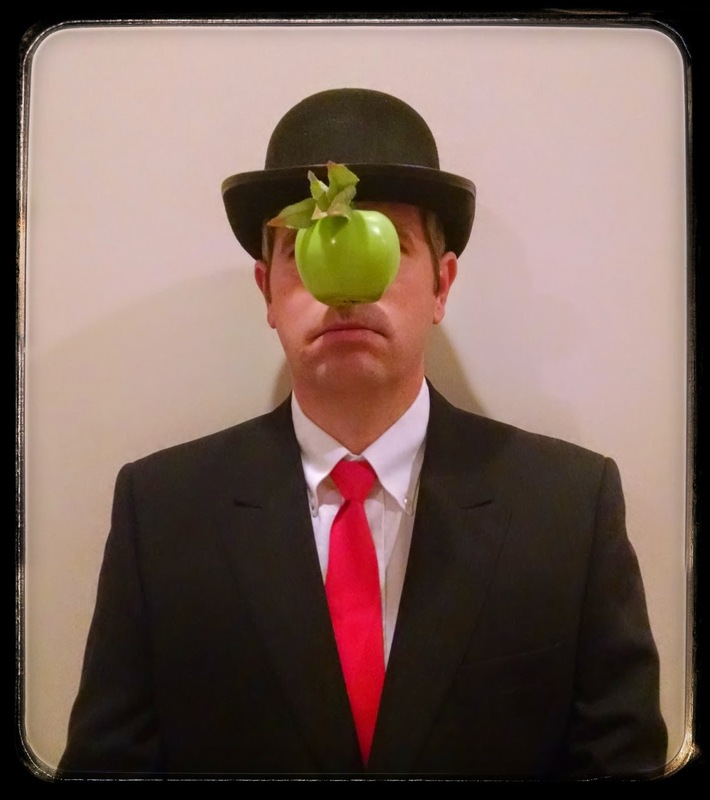 A real apple would be too heavy and pull the bowler hat off, but a plastic apple is perfect–nice and light! That`s great and funny, but does it make you cross-eyed, Matt? It makes me cross-eyed just to look at the photo. Lol. I love it, however! Must make mingling at parties a challenge. When you take the hat of to talk to someone slap on a US flag pin. Son of man/Romney – what a combination. Probably some sort of clever arty joke in there somewhere but I’m not arty or clever so over to you. Thanks for making me and others smile . AWESOME AS ALWAYS. Haha haha !! Matt your Halloween costume is looks less scary but more of funny !! By far the most original idea i saw this year, great.